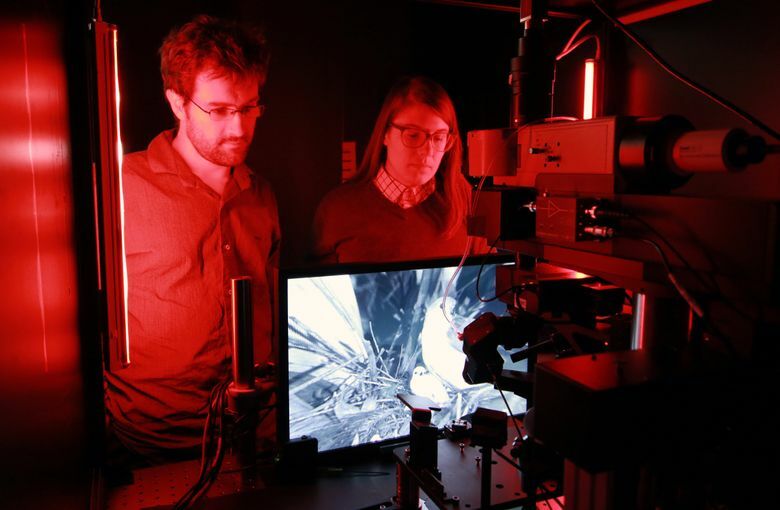 Video data from the Seattle laboratory bankrolled by Microsoft co-founder Paul Allen captures neurons in action as mice view movies, pictures and light patterns. Are mice fans of film noir? Researchers at the Allen Institute for Brain Science in Seattle can’t answer that question — yet. The video images, which show neurons twinkling like stars in the Milky Way, are part of the newly released Allen Brain Observatory — a neurological database like no other. Instead of static data on cell type and genes, the online observatory reveals the way brain cells respond to visual stimuli ranging from old movies to simple grid lines. “We want to produce a body of data that hasn’t been generated anywhere else before, so that we can ask questions no one has asked before,” said neuroscientist Shawn Olsen. The new database advances the institute’s broader goals of understanding how neurons work together in the brain to generate thought, consciousness and memory — and what goes wrong in people who suffer from brain disorders like schizophrenia and Alzheimer’s disease. Though the focus is on the visual system of mice, the results should also shed light on the functioning of the more complex human brain, Olsen said. Bankrolled by $500 million in donations from Microsoft co-founder Paul Allen, the brain institute is known for its industrial-scale approach to neuroscience. Past projects have included atlases of brain genetic activity and cell types used by researchers around the world. But the ability to peer into the living brain is relatively new, enabled by genetic and technological breakthroughs. The observations rely on mice that have been genetically engineered so specific types of brain cells will light up, or fluoresce, when activated by the animal’s thought patterns. 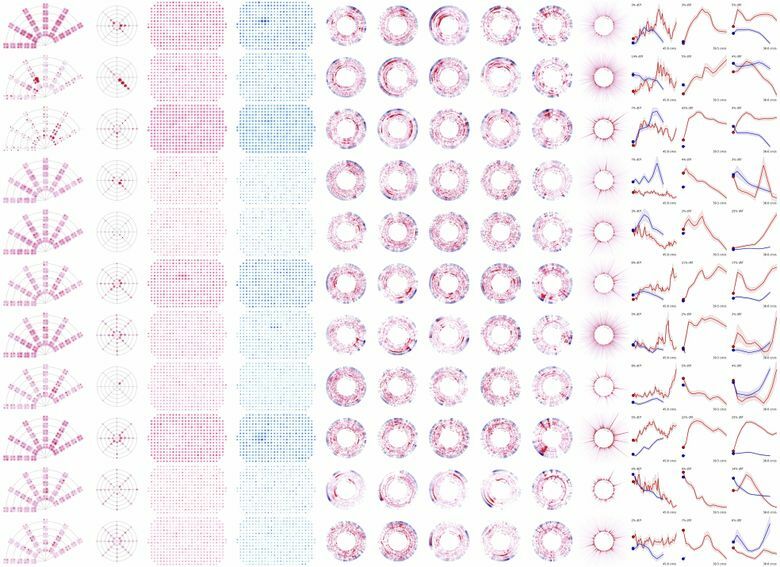 To generate the initial batch of data unveiled this week, scientists showed mice pictures of animals, plants and standardized patterns, like vertical bars, in addition to short film clips. As the animals viewed the images, a special laser microscope scanned their brains through tiny windows implanted in their skulls. The mice aren’t sedated; they are actually running in place on a kind of treadmill throughout the process. “The raw data is literally a movie,” Olsen said. 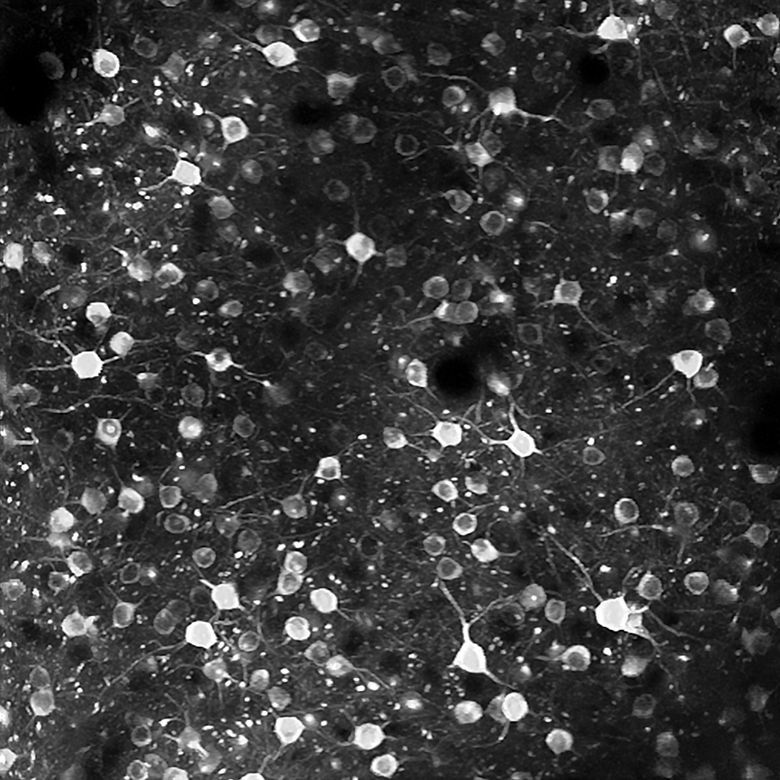 From the movie, the researchers can identify which neurons light up and how the signals are transmitted between cells. They can also extract information on individual neurons or groups of neurons. Like all of the institute’s results, the data are freely available. “Other researchers are going to be able to use it to build hypotheses they can test in their own experiments,” said senior scientist Saskia de Vries. She expects keen interest among researchers working on computer models of the brain. More than 160 scientists applied for 25 openings in a workshop this summer on the new data and how to use it. The institute’s own experts are also beginning to explore the data, even as they continue to add to the observatory. While mice don’t see colors and have blurrier vision than humans, the basic neural pathways are very similar, the scientists pointed out. But that doesn’t mean the mice are able to comprehend any of the images — or Welles’ 1958 thriller, de Vries cautioned. For example, certain neurons seemed to fire each time a mouse was shown a photo of a butterfly. The animal probably didn’t recognize the insects, but may have been responding to contrasting colors on the wings, de Vries said. The only reason she and her colleagues picked the opening of “Touch of Evil” is because it’s a continuous shot, with a variety of camera angles. “We just did a Google search for ‘famous long shots,’ ” she said. It’s impossible to know what the mice perceived, but the experiment revealed an active and surprisingly consistent pattern of nerve impulses each time the animals viewed the clip. Why — and what the significance might be — are the types of questions the scientists hope to answer in the future.